Many businesses, whether they are television retailers or simply have a screen or two at their office, sell advertising time to local businesses as a way of generating funds. This system benefits both companies--the business selling the advertising slots receives the income and the business advertising receives the exposure. Get the most bang for your advertising bucks by choosing the site of the advertising carefully and weighing whether the audience is in your target demographic. Businesses often reach out to local business owners and marketing directors to see if advertising on their screens is an ideal fit. Through research, business owners can find these advertising opportunities and contact the companies. Research local businesses that feature television screens available for advertising. Many grocery stores now feature television screens in the check-out lines for capturing the attention of waiting shoppers. 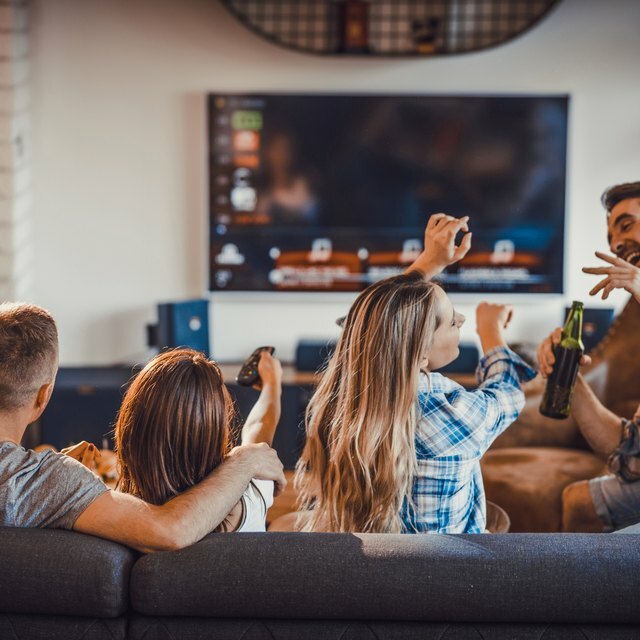 Local bars and television retailers are also likely candidates for selling screen time at their businesses. Search online for other avenues for this type of advertising, or check with your local Chamber of Commerce. Create a commercial or use your existing one. Commercials are generally 15 or 30 seconds long. The longer the spot, the more expensive the advertising will be. If creating your own, an inexpensive option is creating a photo slide show that includes your business's contact information. This can be created in several programs, including Microsoft PowerPoint. Ask the TV owners what delivery format they require for your commercial. They may ask you to burn the spot onto a CD or upload it to their website or FTP server. Track the commercial's effectiveness through lead monitoring during the length of the campaign. This will give you a clear perspective on whether your advertising dollars were well spent or if the campaign needs to be tweaked or ended. Monitor through polling customers, surveying customers or questionnaires. Consider offering a special deal through your commercial and tracking the number of customers who take advantage of it.